You are here: Home / Search for "citrine magic"
So there you have the ancient view asserting the power of a natural unheated Topaz. Gemstoneuniverse presents to you two new lots of fully natural and unheated Yellow Topaz, rich and resplendent, pulsating with pure Jupiter energies. Regalia 2012 is all about the exotic and richly hued Imperial Golden Yellow Topaz. It is the finest produce of Brazilian mines in Ouro Preto, a city in the state of Minas Gerais, Brazil – the famous gem producing area. Yellow topaz otherwise is an abundantly available gem in nature, but Imperial Golden Yellow Topaz is a complete rarity and is only sourced from this particular mining area in Brazil. It is this topaz that is the “True topaz” or the “Sherry topaz” and its color is often described as the muscatel color or golden honey brown. A buyer must be especially careful as a cheaper and more abundantly available gem – citrine is palmed-off to the unaware buyer as a Topaz! 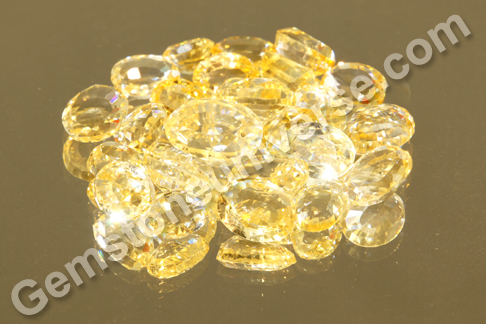 In most of the markets the most common material being peddled in the name of Yellow Topaz are glass (Yes Glass) and citrine/sunhela that gives zero value as a Gemstone for harnessing Jupiter energies. Read more bout this HERE. 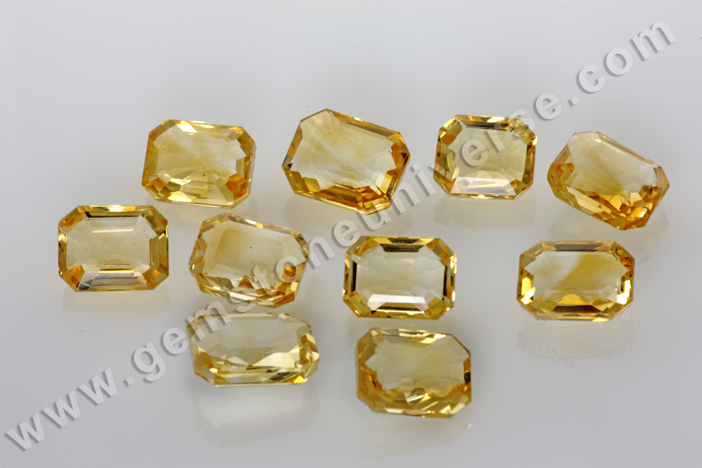 One can be aware that the topaz will have much more lustre than citrine and will be in warmer tones. This is a Gemstoneuniverse hotcake and might just vanish at lightening speed, so get yours fast! As beautiful as the name of the lot, Bella is all about fine Brazilian Yellow Topaz. You will notice the palpable difference vis-à-vis the gems of Regalia. Both are natural and unheated but Regalia 2012 is class apart as the rich color of the Imperial Golden yellow Topaz is natural (reason why this richly colored gem is called Imperial). Get your piece of delight. 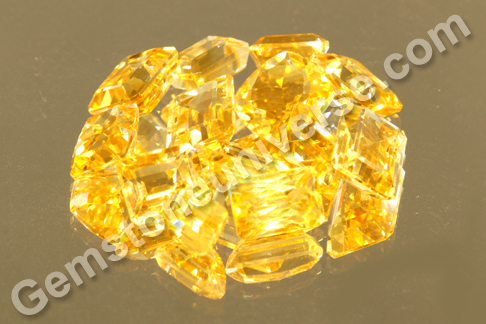 October 2011 Special- Premium Jyotish Quality Imperial Golden Yellow Topaz lot – ‘JOVE’ – resonating with benevolent Jupiter energies for Gemstoneuniverse patrons. Dear Patrons, in keeping with our promise to provide you a virtual treat, here’s the net in series. Enjoy the lux appeal and the scintillating glory of this new lot of Imperial Golden Yellow Topaz – ‘JOVE’. And by Jove, the name of this lot sums up what this gemstone is all about. Greatly powerful and benevolent energies of Jupiter condensed into these little miracle packets! There is a certain palpable fire in their belly – golden warmth that promises good tidings. – Price — Despite the difficulty in sourcing it, the price point on Gemstoneuniverse site remains extremely affordable. We bring real value and goodwill to the clients. – Guaranteed powerful Saatvik Results as all pieces of “JOVE’ are free from any doshas listed in the Shastras provided they are indicated in the chart. Representing the best in Gemstones they will deliver powerful results in Vedic Gem Therapy. Certification and Appraisal for this lot is complete and these will be made available to Gemstoneuniverse patrons in the next 10 business days.